Digital disruption and market forces, along with changing customer behaviour and needs are driving customer centric change in Australia. A new wave of customer centric organisations pose significant challenges to more traditional organisations that are battling legacy structures and processes. 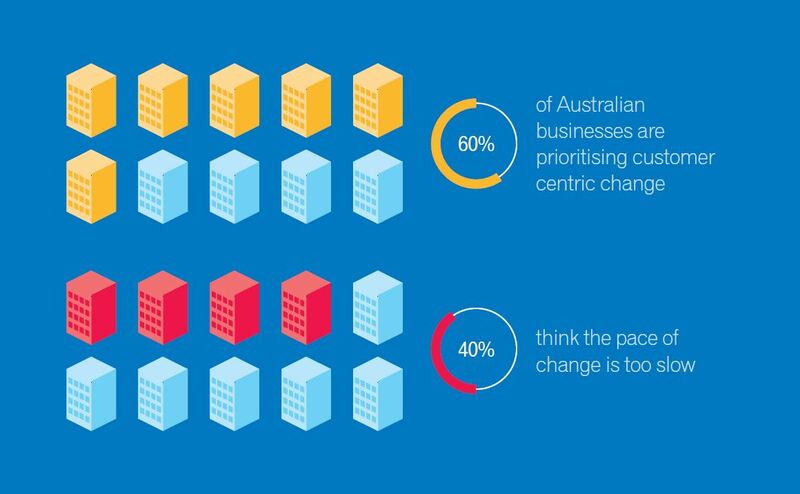 Australian businesses acknowledge they must evolve to become more customer centric or risk becoming irrelevant in the face of changing customer demands according to Experian’s latest research. The research – which involved 20 CMOs from leading organisations and more than 100 senior marketers – found that CMOs know the pace of change is too slow, but feel ill-equipped to guide the process and are being held back by fear of failure. As part of the research project, Experian plotted businesses on a Customer Centricity Maturity Index (CCMI) as ‘beginners’, ‘followers’, ‘challenges’ or ‘progressives’ and found even those in the early stages of the shift to customer centricity recognised evolution is crucial to survival. The research also found businesses with a low tolerance of failure put themselves at risk of falling behind competitors that aren’t afraid to push boundaries. Organisations that have successfully embraced customer centricity were 38 per cent more likely to operate in an environment that accepted failure than organisations yet to align customer centricity with overall business direction. 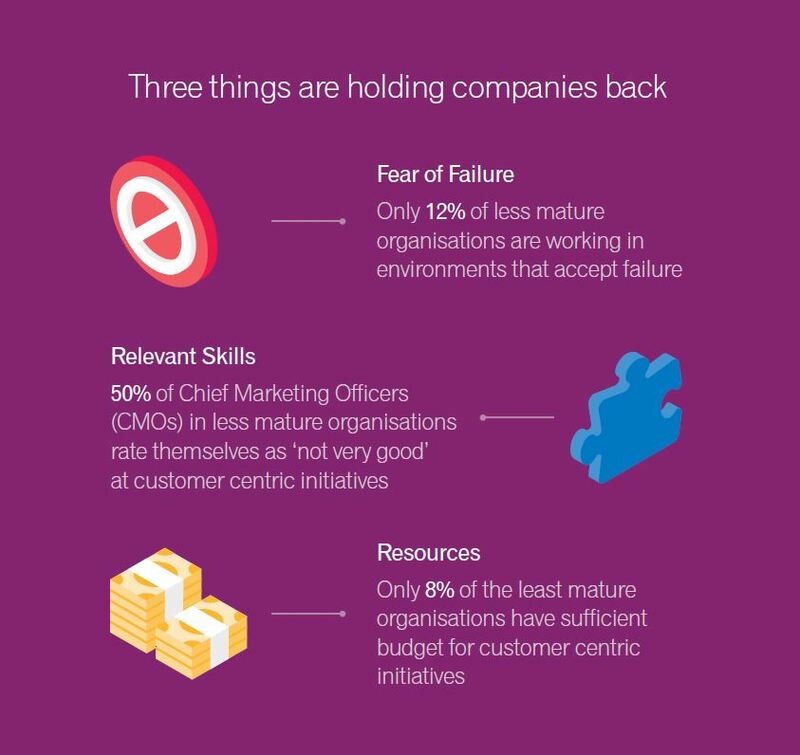 More than 40 per cent of CMOs believe the pace of change is too slow, however as many as 50 per cent of those in less mature organisations don’t feel up to the task and rate themselves as “not very good” at customer centric initiatives. CMOs admit to feeling the strain of the long timeframes involved in an organisation’s transformation. There is a real appetite for quick wins because CMOs have been stung by long-term plans for change in the past. Many are embracing agile methodologies such as Live Chat, Social Listening and Social Response programs to accelerate the pace of change and secure quick wins. 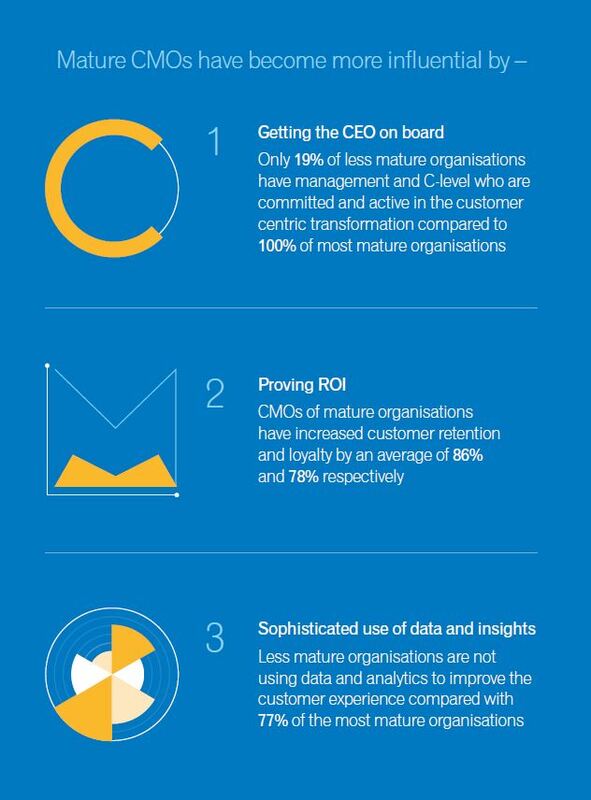 ‘Progressive’ organisations have a new breed of CMO at the helm – the CMO+. These CMOs have been elevated above the marketing function and are vastly more influential in the senior business landscape. 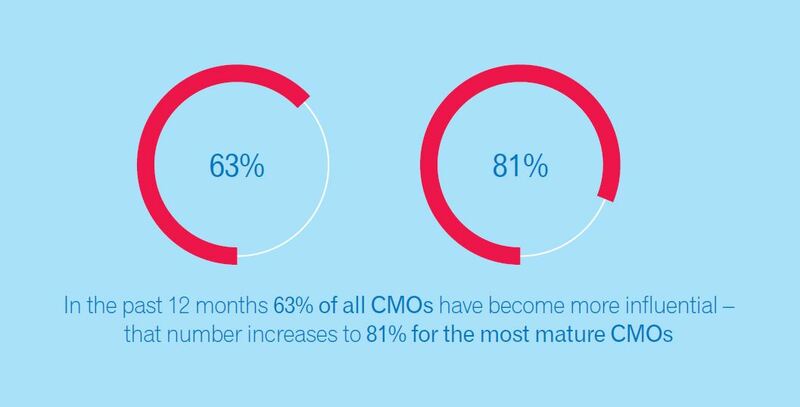 The research found 63 per cent of CMOs have become more influential in the last 12 months, and that number increases to 81 per cent for ‘Progressive’ CMOs who are effectively driving customer centric change. These CMOs are empowered to influence those who are not yet on board, and play a key role in resetting corporate values and KPIs. ‘Progressive’ CMOs are characterised by their ability to derive business benefits from customer centric initiatives and more importantly, prove the return on investment. They have, on average, experienced a 75 per cent improvement in performance across key measurement metrics in the past 12 months. More than 90 per cent reported successfully measuring ROI and using the results to secure ongoing budget and resource. This is supported by the fact that 88 per cent of ‘progressives’ state that they have sufficient budget for customer-centric initiatives, compared to just eight per cent of ‘beginners’. The concept of customer centricity is not new, what’s missing is practical guidance on how organisations can drive customer centric change. Experian has tried to address the knowledge gap by piecing together insights, shared experiences and learnings from Australia’s leading CMOs into practical advice for businesses. That advice is detailed in the first in a series of whitepapers on the research, entitled Customer Centric Transformation – How Australian CMOs are Driving Change, available for free download from Experian’s website.